(COLUMBUS, Ohio) – Want your student to do better academically? Make sure breakfast and physical activity are part of their day. That’s the key message from a statewide event called the Learning Connection Ohio Summit. Key Ohio school leaders are joining forces to explore the science of nutrition and physical activity and their link to how well students perform in school. Ohio Action for Healthy Kids, in conjunction with the American Dairy Association Mideast, the Ohio Chapter of the American Academy of Pediatrics and Children’s Hunger Alliance and support from Cardinal Health, is hosting the statewide summit Tuesday May 7, 2013 at the Creekside Event Center in Gahanna, Ohio. Hundreds of school leaders will come together from all across the state for this one day event. National statistics from The Wellness Impact: Enhancing Academic Success Through Healthy School Environments1 show that only thirty-eight percent of all teenagers eat breakfast every day. Here in Ohio, statistics from the 2011 Youth Risk Behavior Survey (YRBS) show that only thirty percent of students surveyed ate breakfast each day. The 2011 YRBS surveyed 1,442 Ohio students in grades 9-12. Since breakfast is such an important part of a child’s day, many of the presentations at this event will focus on the food connection. Featured speakers at this event include Duke Storen from Share Our Strength and Audrey Rowe from the United States Department of Agriculture’s Food and Nutrition Service. Storen’s presentation will include information on food insecurity and the connection to learning in school. 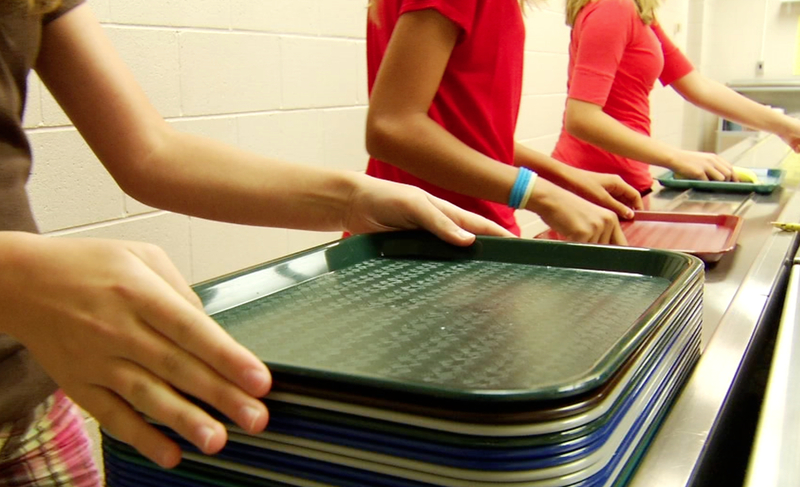 Rowe will focus on school meals and cognition, exploring the importance of providing access to food, and how a healthy diet relates to schools and their child nutrition programs. Also on the agenda for this event is discussions on the role physical activity plays in the school day. Additional presentations will include information on the role of recess in school, how to include movement in the classroom and ways to integrate wellness to support the learning environment. Former Ohio State Buckeye & NFL football player, Greg Bellisari, MD; and current co-host of ABC-6 The Football Fever, Doug Lessells will be joining the program to lead a physical activity demonstration and facilitate a question and answer session. School health and wellness tools such as the “Fuel Up To Play 60” program which encourages students to choose nutrient-rich foods and be active for at least 60 minutes every day, will also be highlighted at the Summit. Children spend two thousand hours every year in school, which makes it a smart place to encourage kids to eat right and get moving. Attendees at the Learning Connection Ohio Summit will be able to take a wealth of information back to their communities in order to inform school administrators, educators, parents and students about how to increase academic performance. About Fuel Up to Play 60: Fuel Up to Play 60 is an in-school nutrition and physical activity program launched by National Dairy Council (NDC) and National Football League (NFL), with additional partnership support from U.S. Department of Agriculture (USDA). The program encourages youth to consume nutrient-rich foods (low-fat and fat-free dairy, fruits, vegetables and whole grains) and achieve at least 60 minutes of physical activity every day. Fuel Up to Play 60 is further supported by several health and nutrition organizations: Action for Healthy Kids, American Academy of Family Physicians, American Academy of Pediatrics, American Dietetic Association, National Hispanic Medical Association, National Medical Association and School Nutrition Association. Visit www.FuelUpToPlay60.com to learn more. COURTESY OF DR. C.H. HILLMAN. The brain on the right shows much more engagement than the brain on the left. 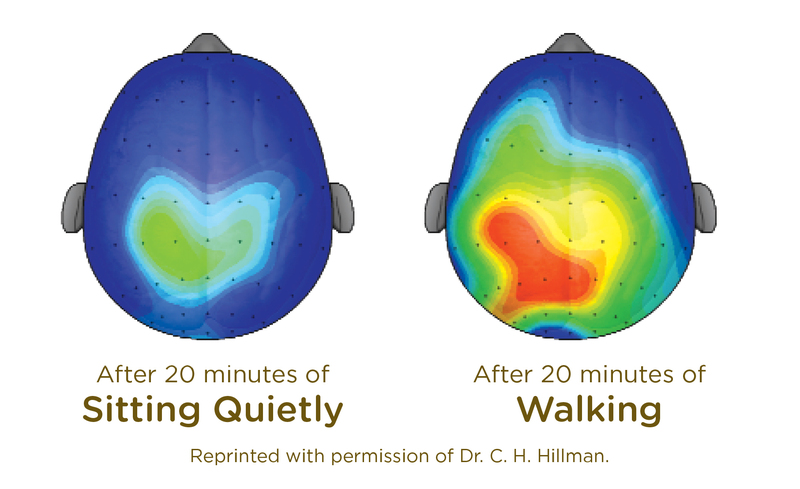 M-R-I scans such as this one, provides researchers the opportunity to look at the brains of young students to prove that plenty of exercise is important, which was discussed a The Ohio Learning Connection Summit put on in conjunction by The American Dairy Association. 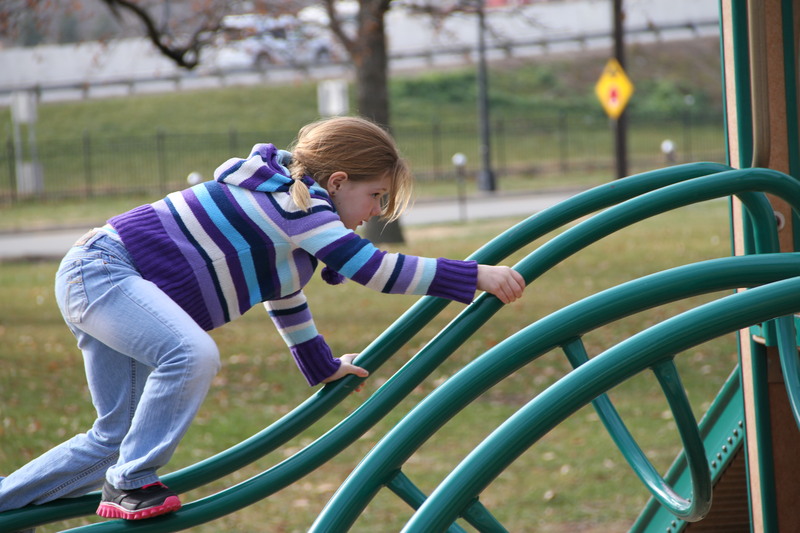 At the Ohio Learning Connection Summit hosted by The American Dairy Association, professionals discussed that playing on the playground during recess, like this girl, seems to be beneficial to students academic acheivement in the classroom. The problem with this, though, is that school are cutting back on recess. 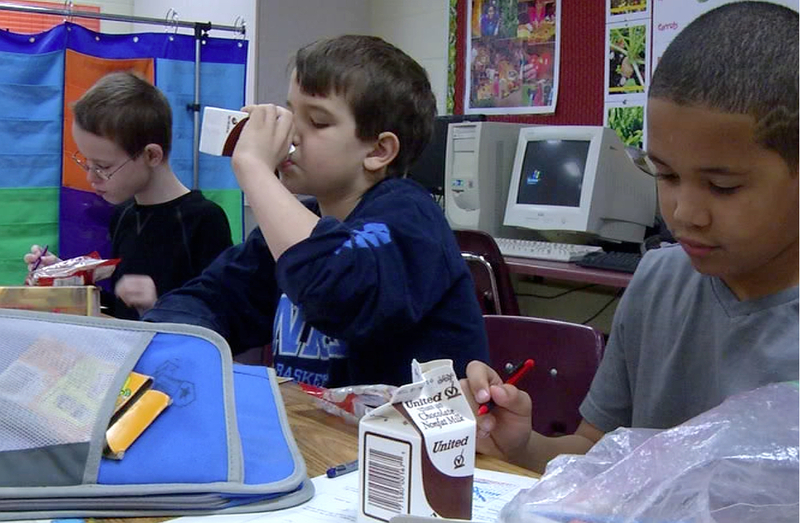 The American Dairy Association Mideast is urging schools to offer breakfast in school. Studies show this will have a good impact on the learning environment. Three students eat a healthy breakfast in their classroom. The American Dairy Association Mideast is a good tactic to help students learn and excel. (From left) Tyler Casto and Grant Powell focus on doing their work in the classroom. The American Dairy Association Mideast encourages children to eat breakfast before going to school and doing other academic projects.